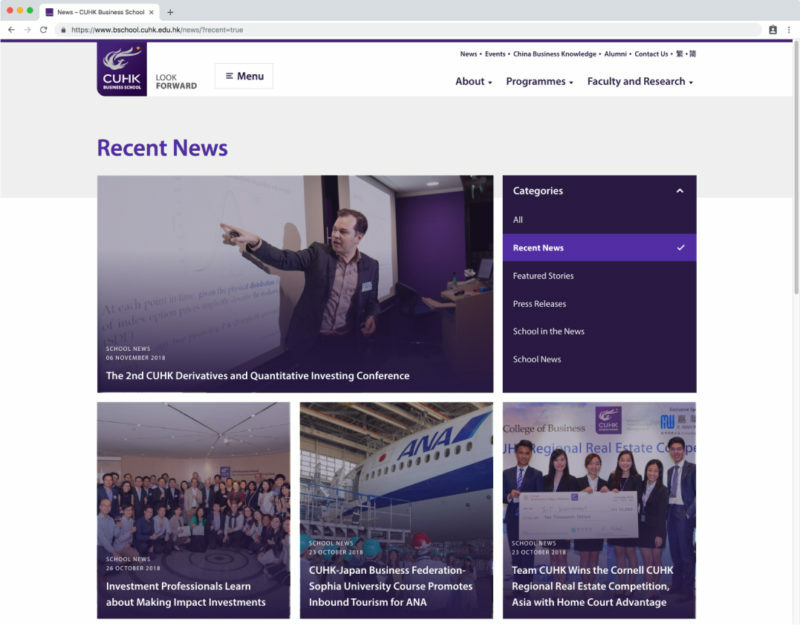 CUHK’s Business School worked with Grayscale to design a new group of websites for their school and programmes. 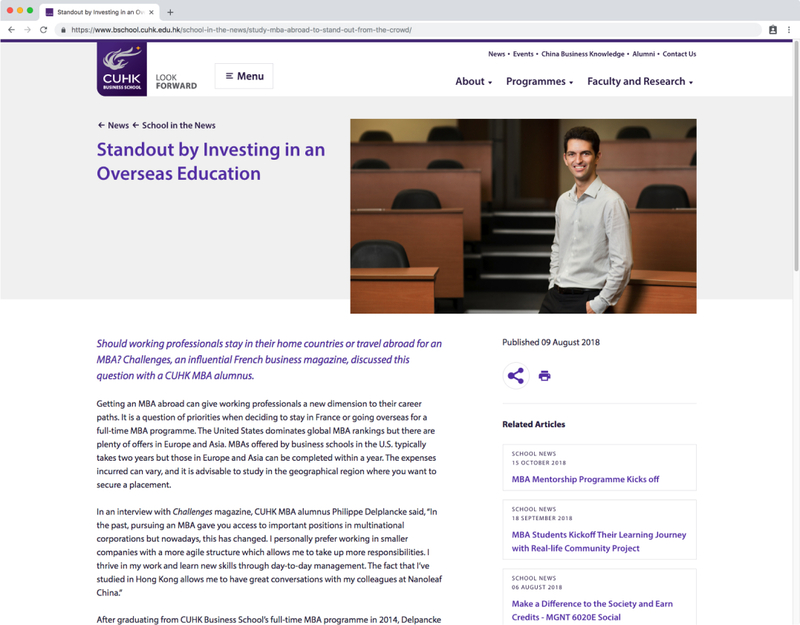 CUHK’s Business School is one of Hong Kong’s best Business Schools and attracts top students and researchers from all over the world. 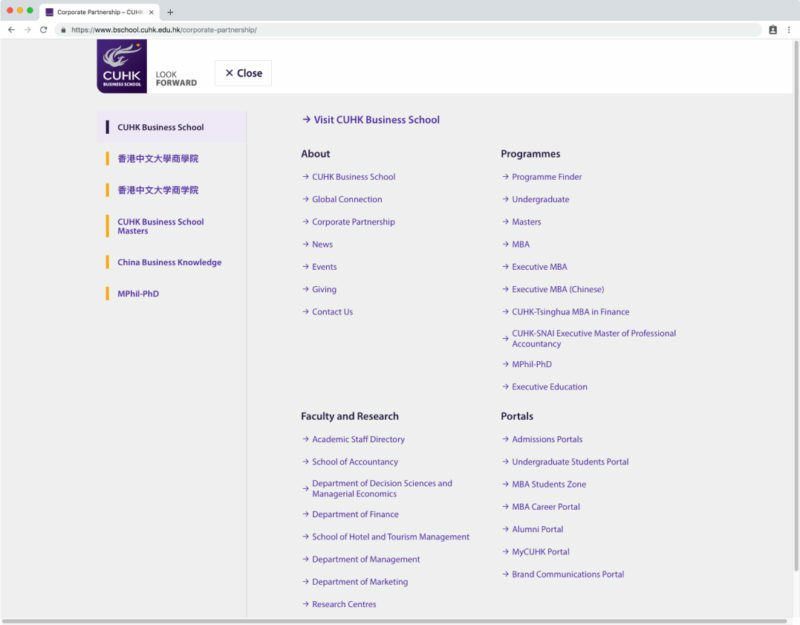 The school has a large number of websites, which are loosely connected in content and design. 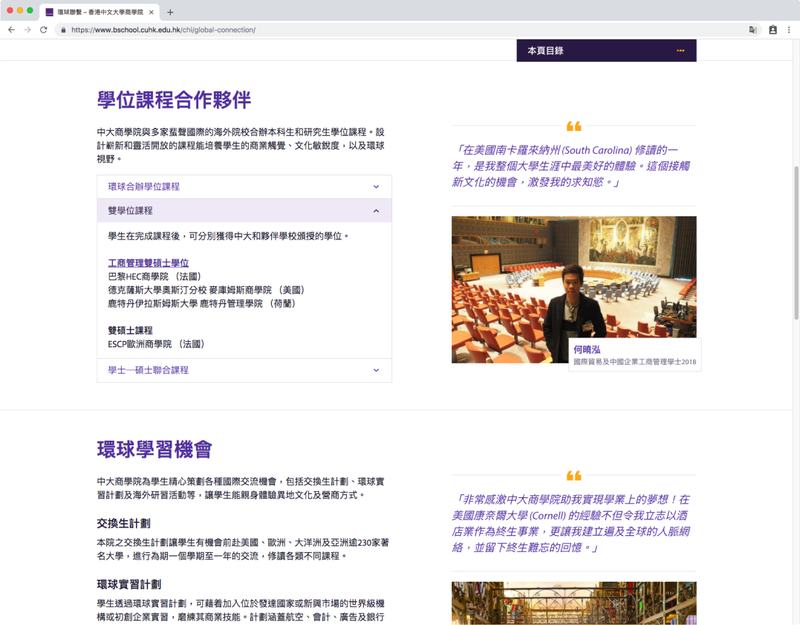 Grayscale was tasked to reorganise and redesign a few core sites, creating a family of sites and setting an example for sites to come. 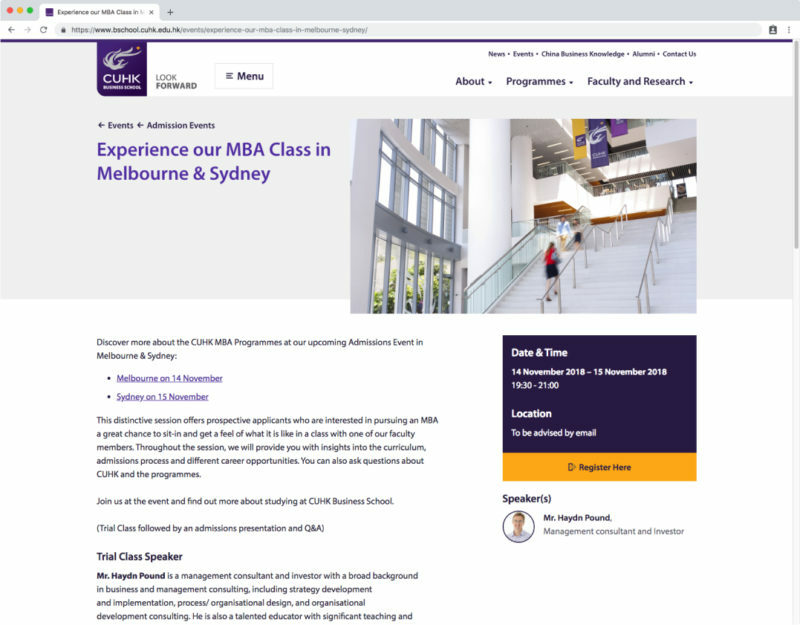 The Business School wanted to re-position the brand using their new “Looking Forward” proposition. 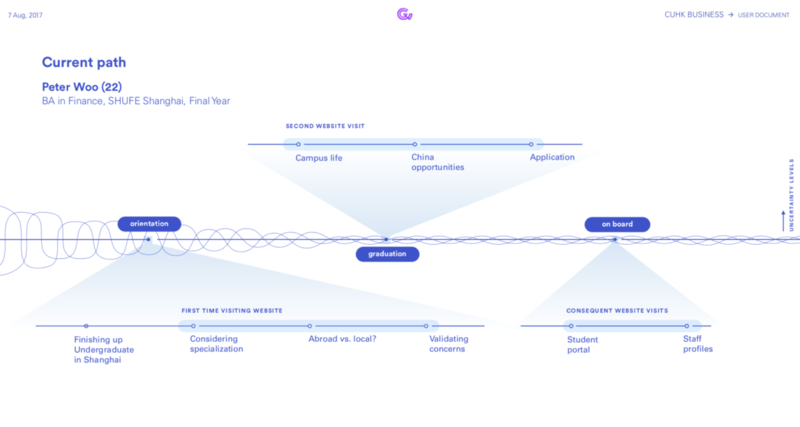 Grayscale created a design system which embodied this theme, creating clear rules so future sites can easily follow the system, but flexible enough so that different parts of the school and varying types of content can still have their own space. All the sites are developed on the versatile WordPress CMS, allowing cross-site content population. 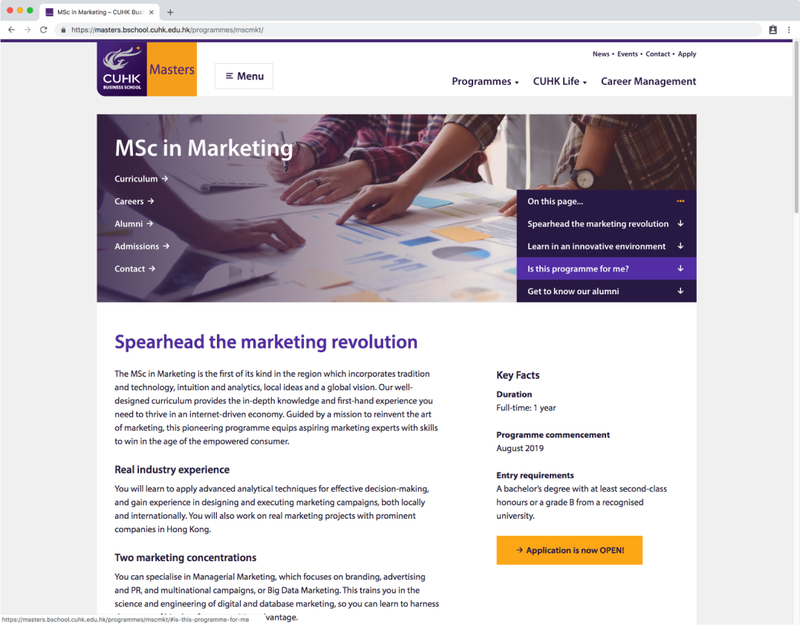 This means that news articles from the central site can also be shown on the Masters’ site website and that all sites share a mega-menu which allows visitors to easily jump between content. The content structure makes sense so it’s easy for visitors to find the information they are looking for. There is an aligned site style which is worked out in an online web style guide which is both scalable and flexible. The sites have not become too feature and content heavy. Therefore the CMS’ can still be managed fairly easily. 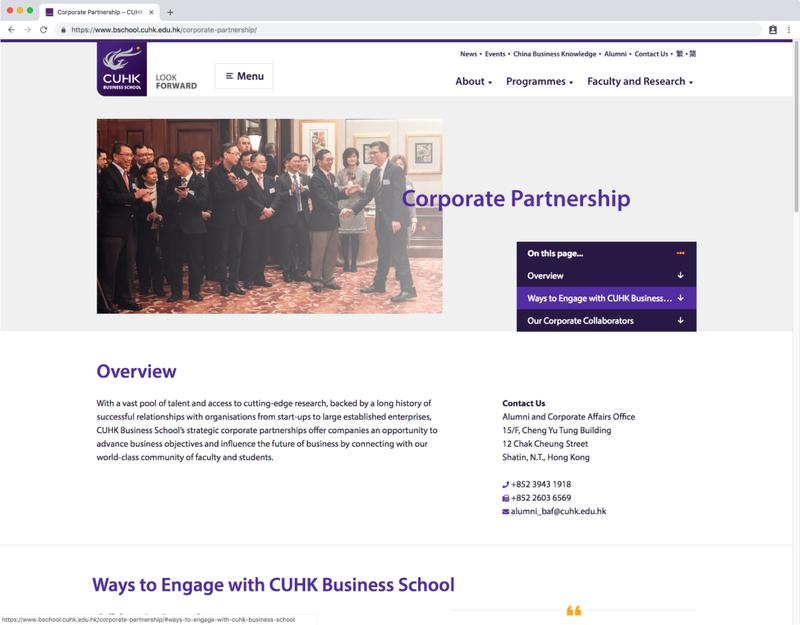 Besides the end product, it was also a pleasure to work with the CUHK Business School team who showed a consistent leadership and willingness to listen and learn.